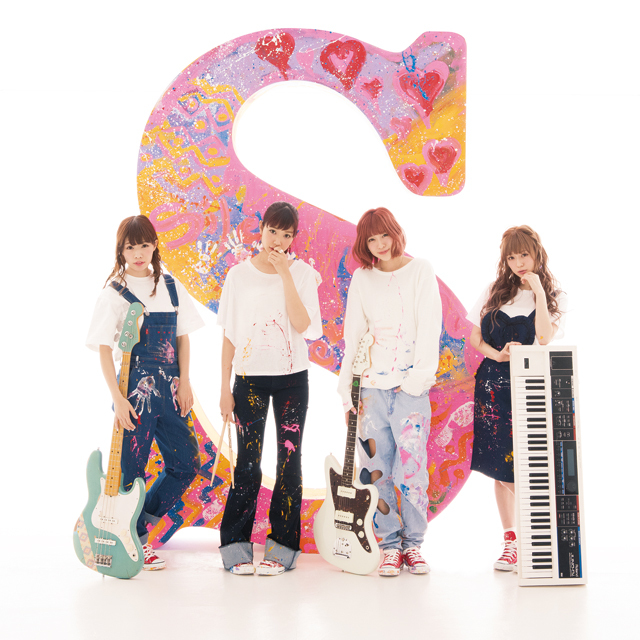 Silent Siren is a female girl group formed by Vo&G.Sumire Yoshida, Drums, Hinanchu(Hinako Umemura), Bass Ainyan(Aina Yamauchi) and Keyboard, Yukarun (Yukako Kurosaka). They made their debut with a single titled “Sweet Pop!”. They used to reader-models. The group is called as “Sai Sai”, being popular among high school girls in Harajuku area followed by 500 thousand fans on their official LINE account! In 2014, they had their first show over seas and launched their career overseas. In 2015, they went to Taiwan and had a solo show in Indonesia, gaining a big fan base in Asia. On January 17th 2015, they made the shortest record after the release till a girl band made it to the solo show at Nippon Budokan, drawing 9000 fans to the solo show. On March 2nd, their fourth album “S” was dropped. The band’s biggest and longest tour was titled “S no Tameni S wo Nerae” Sosite Subete ga S ni Naru”, starting from April and going to 25 venues for 26 shows till the final at Yokohama Arena. They performed actively at national major festivals such as ROCK IN JAPAN FESTIVAL and COUNTDOWN JAPAN, establishing their presence in girls band scene. They also host their original event titled “Sai Sai Fes”. ︎ They consecutively made it to the top 10 in Oricon Weekly Chart of singles and albums for 12 works since “Bi san” released in 2013. In September 2016, they went to “Silent Siren S WORLD TOUR” going to six cities in five countries, and at the year end they had a special show titled “Dream On!” in Tokyo, Nagoya and Osaka. The band from Harajuku “Sai Sai” is unstoppable!